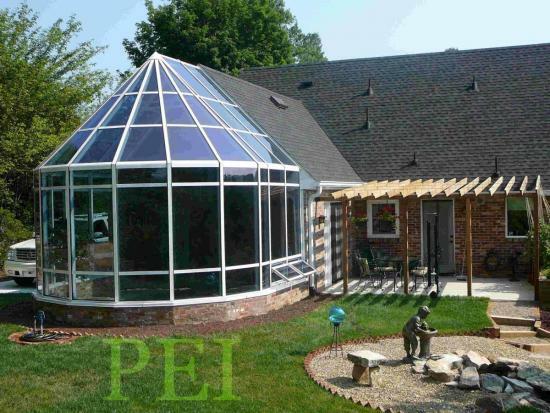 Below is a gable attached segmented (or faceted) style sunroom with high performance self-cleaning glass roof and walls, located in Western North Carolina. The structure covers a swim spa / therapy pool. 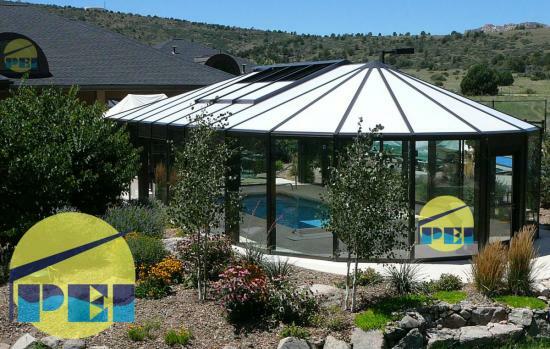 Pool Enclosures, Inc. will custom design and build swimming pool enclosures, solariums, conservatories and greenhouses. 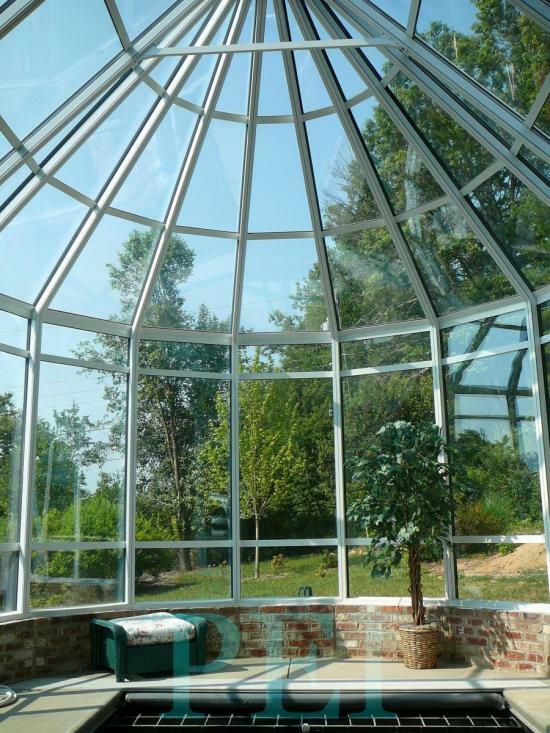 Below is a 25' x 45' conservatory with a both a segmented end and a hipped end. The roof is 25mm opal 5-wall polycarbonate with motorized retracting sliding roof panels.